There are more and more people in this world which means more and more growth of buildings and houses. Animals try to adapt the best they can and one way is to search in neighborhoods for food and water. These neighborhoods were once open land for them to freely find food and water sources with no threat from humans to harm them. They still deserve a home and certainly deserve to live. Trapping should ONLY be used as a last resort. Normally, animals have another nest spot they can claim. Babies can remain with their mothers versus being left behind. 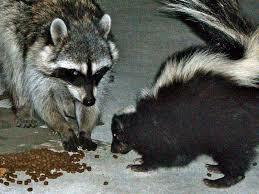 Solving an animal nuisance issue yourself will be more cost effective and less harmful to the animal. Not every company that rids homes of animals “rids” the animals in an appropriate manner. In addition, unless you make changes to discourage future wildlife, the problem will continue to occur. You can trap and relocate 10 raccoons, but 10 more will just take their place because you just removed their competition for food and shelter. 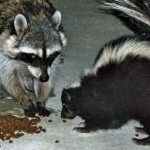 Obviously, something is attracting wildlife to your yard, and that is what you need to address. Chop onion and pepper. Boil in 2 quarts of water for about 20 minutes. After cooled, strain into container. Using a garden sprayer, spray area where wildlife is being a nuisance. You may need to repeat this over a week or two to finally (hopefully) rid your yard of a particular animal.